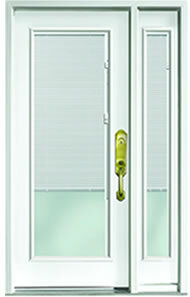 Horizontal raise/lower mini-blinds integrated between the glass panes. 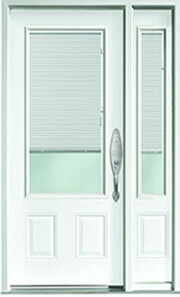 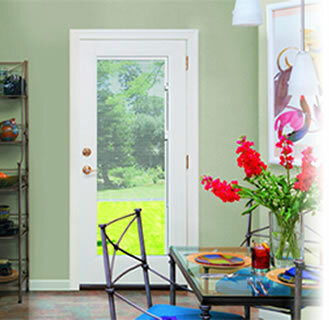 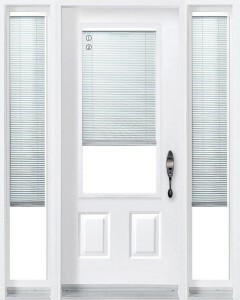 This doorglass is maintenance-free with no dusting of blinds required! 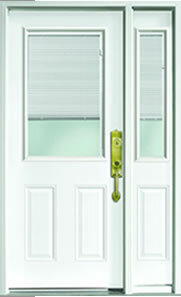 Its easy glide opening mechanism makes it a great choice for any home.